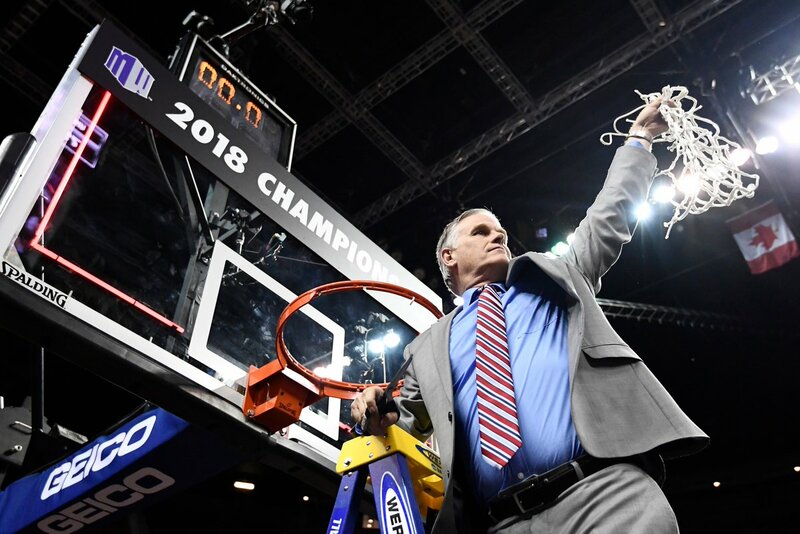 San Diego State University announced Wednesday that men’s basketball coach Brian Dutcher has been given a contract extension through the 2022-23 season. The 2017-18 season was Dutcher’s first as head coach and he became the school’s first rookie coach to guide the team to a Mountain West Conference title and 22 wins, breaking the previous record of 14 wins set by Tim Vezie during the 1974-75 season. The Aztecs also reached the NCAA March Madness tournament for the seventh time in the last nine seasons. Dutcher took over head coach duties in April 2017 after serving as a long-time assistant under former head coach Steve Fisher. The 2018-19 season will be Dutcher’s 20th at SDSU.